The design of hydraulic machinery in general, and of centrifugal pumps in particular, has been, and still is, essentially empirical. One reason for this is the great variety of types, sizes, and uses of centrifugal pumps, resulting in a great multiplicity of design considerations. Chapter 1. Classification of centrifugal pumps. Chapter 3. Theoretical deviation of pump geometry associated with the maximum attainable efficiency at the design point. Chapter 4. Efficiency penalities due to departures from the optimum configuration. Chapter 5. 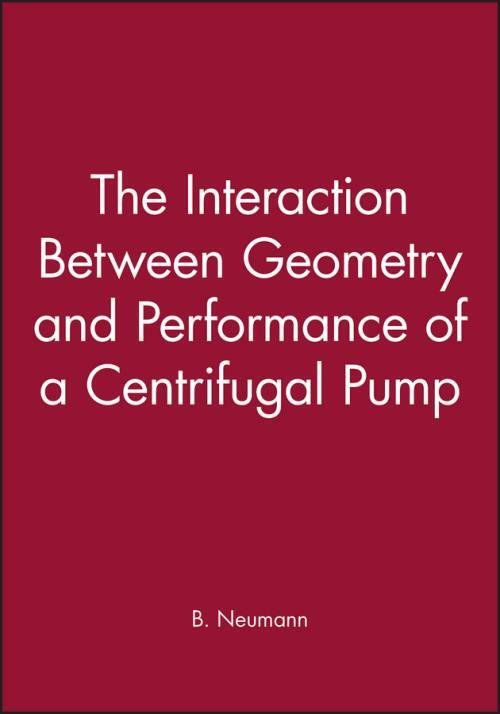 Pump performance at off–design conditions. Chapter 6. Performance adjustments by modifications and rework of the pump on test.